My current adventure into the fascinating realms of site redesign and optimization has yielded several chunks of fruit related to managing and delivering feed content. One of my primary concerns regarding the overhaul of Perishable Press is streamlined content delivery and rights management. An important area of convergence for these two factors involves the management and delivery of a site’s syndicated content. In this article, I explain the shortcomings of many default feed configurations and present an effective overall strategy for better feed management. Then, as you consider this astronomical number of feeds, multiply each possibility by a factor of at least three: feeds generated via RSS 2.0, RSS 0.92, and Atom formats. Then, as if that were not enough, some bloggers throw third party services such as Feedburner into the mix and link directly to those feeds as well. Now add a zillion non-canonical URL variations into the mix. Eventually, your eyes begin to bug out and you go a little bonkers trying to keep track of them all. Unfortunately, I speak from experience. Several of my most recent themes (e.g., Jupiter, Lithium, and minimalist) are plagued with links to countless varieties of Perishable Press feeds — category feeds, comment feeds, Feedburner feeds, Atom feeds — you name it. The main problem with such a feed infestation is that they are virtually impossible to manage and even more difficult to track. And, of course, tracking feed activity is an important part of protecting yourself against the unscrupulous bastards that insist on stealing your content. Needless to say, gathering and analyzing feed statistics is greatly confounded by large numbers of rogue feeds. Unless your categories are highly diversified, you should consider dropping individual category feeds. For example, if you blog about illegal drugs, and categorize your posts according to type of drug, chances are very high (so to speak) that readers interested in THC are also interested in LSD. Or, if you happen to blog about several distinct topics (e.g., politics, pancakes, and poltergeists), and break each category down into myriad subcategories (e.g., batter, butter, milk and syrup), you would want to consolidate all of the subcategory feeds into three primary feeds, one for each central topic. Likewise for comment feeds: consolidate your comment feeds into as few as possible, enabling readers to subscribe to “all comments” or perhaps “all comments for poltergeists.” In my opinion, a large majority of blogs require only two feeds: one for content and another for comments. Having consolidated similar feeds, it’s time to simplify even further by dropping unnecessary feed formats. Feed readers no longer require any specific format to process and deliver feeds. Technology has evolved and competition is fierce. Feel free to serve any type of feed you want — don’t feel obligated to support every single format (e.g., Atom, RSS 0.92, RSS 2.0, XML, etc.). Choose your favorite format and serve it proudly. Another great way to ensure maximum compatibility without having to serve a million different formats involves delivering your feeds via Feedburner. Feedburner provides a “SmartFeed” feature that reformats your feed on the fly, making it compatible with virtually any feed reader. After consolidating your primary feeds and eliminating unnecessary feed formats, you should scour your site and remove any now-dead feed links. Yes, WordPress and other blogging platforms will automatically generate feeds for the many channels described above, but they are created only when someone actually links or refers to them. Deleting these extraneous feed links will prevent unwanted subscriptions to deprecated feeds, however, it does not prevent current subscribers from receiving their preexisting feeds. The goal is to eventually phase out and eliminate unnecessary feeds, in order to streamline content and establish an optimal strategy for long-term feed management. In any case, take the time to replace those monstrous lists of category, subcategory, comment, author, and alternately formatted feeds with your newly defined, concise set of consolidated feeds. If you have eliminated feeds to which readers may have already subscribed, you have two options: redirect the feed or leave it alone. If you have no concern for tracking subscribers, gathering accurate statistics, and taking control of your syndicated content, then by all means, just let it go. For as long as you publish your blog from your current platform, that rogue handful of readers that managed to grab a subscription of your famous “werewolf” sub-subcategory will continue to receive the feed without impediment. That’s one option. For those of us who would rather increase their administrative and statistical control over their syndicated content, redirecting deprecated rogue feeds to a well-defined primary feed is clearly the optimal solution. For example, you may want to redirect all subcategory feeds to the “main content” feed, and redirect individual comment feeds to the “all comments” feed. Of course, when the redirection(s) take effect, rogue subscribers may become confused when trying to understand why they are receiving coverage of topics to which they did not subscribe. Thus, you should take the time to post an “important update”-type article explaining the new, streamlined feed options, thereby reassuring loyal readers that “it’s all good.” Finally, I will point out an excellent alternative to serving comment feeds for individual posts: Mark Jaquith’s incredible Subscribe to Comments plugin. The plugin uses email to notify readers of new comments on individual posts, and provides full administrative control over all subscribers. Definitely recommended. One final note regarding rights management and maintaining ownership of your feed. Regardless of which feed(s) you decide to use, make it a point to link directly to the originating URL(s). For many WordPress bloggers, the original URL looks something like http://domain.tld/blog/feed/ when permalinks are enabled. This is especially important when using third-party services such as Feedburner to reprocess and deliver your feeds. Using Feedburner, for example, requires you to redirect your original feed to the Feedburner URL via plugin, htaccess, or some other prescribed method. Ideally, linking directly to the source URL rather than to the secondary Feedburner URL would protect you if the Feedburner service suddenly should become (gasp!) unavailable. At this point, however, linking directly to your original feed URLs remains considerably ineffective. Unless subscribers right-click and copy the feed URL directly from the link, they will be redirected to the associated Feedburner URL, which is then generally used by subscribers as the actual feed address. On the other hand, if you have been linking directly to the Feedburner URL of your feed, then a Feedburner server crash would make it virtually impossible to deliver content to readers subscribing via the Feedburner URL. To get your readers back, you would have to contact them somehow and get them to (re)subscribe to the actual source of the feed, which should have been linked to in the first place2. 2 As it turns out, accomplishing this technique via Feedburner is easier said than done. In fact, currently Feedburner does not provide a way for users to serve their original feed URL(s) for all feed-subscription links. Until they do, here is the next best strategy for using your own feed URL(s), instead of those created/provided by Feedburner. Or, if you enjoy access to your domain name’s DNS records and feel comfortable working with CNAME entries, then Feedburner has a potential solution for you. I always make it a point that everytime I make a new blog and change the theme, I always strip all unnecessary feed link(s) in the topbar, sidebar and footer. I just don’t get it why do some theme designers place feed links to almost every corner of the blog. 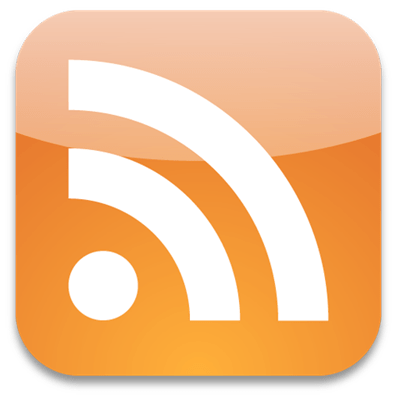 This might be an ‘odd’ suggestion but IMHO, WordPress Dev’s should make an option to choose whether comments can be subscribed via RSS or eMail or none at all. Great points and good advice, Publix. I think its silly when bloggers scatter multiple feed badges all over the site. It’s like the “shotgun” approach or something, operating via the same mechanism as “impulse” buying. If you are looking for that kind of audience, more power to you; personally, I prefer readers that actually want to subscribe, if you catch my drift. Thanks for the comment! I personally only ever use the little button in the URL field to subscribe to a sites feed as I get tired of looking for the subscription button. RSS is brilliant and to us in the know a very useful tool, but mention RSS to your clients or general web users and they look at you blankly. Perhaps scatting the feed badges is a good idea in that case as it might catch the eye of more people and therefore help to educate them? Some great ideas, Ian; thanks for sharing with us. I agree that educating more people about the benefits of RSS is important. A great way to help those unfamiliar with concept is to write (or link to) an article that explains the process and different ways to get involved. For example, here is a recent post on the subject that I will be linking to prominently on my upcoming site redesign.